If you keep your eyes open you can find sparks of inspiration and fairy garden life everywhere. I have always been attracted to miniatures and I love to look for images in clouds and faces in the grain of wood. I love to find tiny objects I can make into something more than they were originally designed for, and view natural settings that trigger imaginative stories. There is a small park near our neighborhood where I like to walk with my husband. On one part of the route the sidewalk disappears and the path turns onto a wooded and sandy pathway. 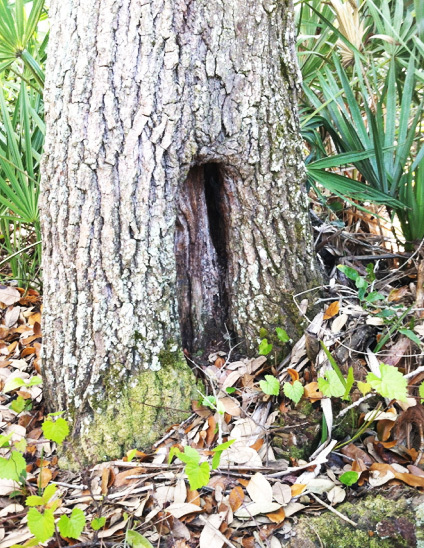 Along the way we pass this tree and I always think I will catch a glimpse of a fairy peeking out at some point. This tree must have a story and it looks like it needs a little more privacy for what ever fairy, gnome, or sprite who might live there. It inspired me to create some fairy doors. 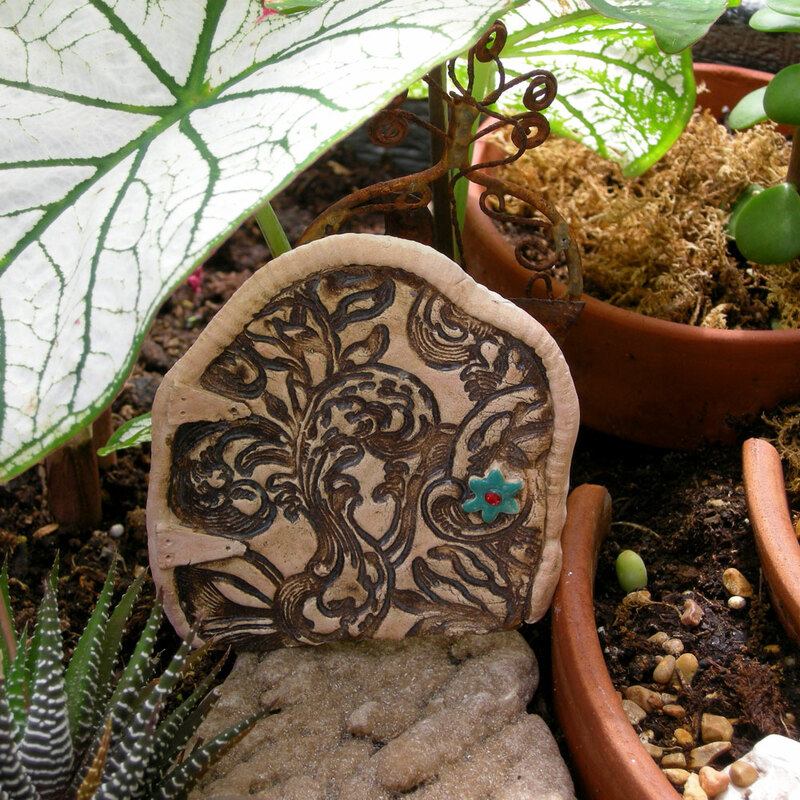 My fairy doors are made from stoneware clay and glazed with lead free glazes. I love working on the little details, trying to imagine what each door may require to make it inviting and unique. I hope you like this one. You can see more on my etsy shop. This door is stamped clay with a star door handle with an enchanted glass jewel in the center. There are tiny hinges which hold the little door to its frame. Each fairy garden ornament I make is unique so visit my shop often to see what new treasures I am designing. Sign up for my newsletter at the top of this page to receive special offers and discounts on my fairy garden creations and be entered for a chance to win a special, handmade gift from my shop. I would love to hear from you. Let me know how you find inspiration for your fairy garden scenes.